Where can I find out information regarding The Scottish Sun Promotion? Can I use my Nectar Points for entry into The York Dungeon? Can I use my Tesco Clubcard for entry into The York Dungeon? Do you accept Blue Peter Badges for entry into the York Dungeon? 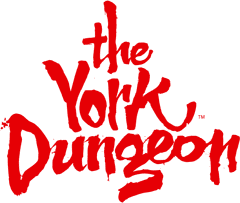 I have a corporate quote code, can I get discounted tickets for the York Dungeon? To redeem your corporate discount, please follow the instructions given by your benefit provider to book with us. For any queries or issues please contact your HR department or benefit provider.